Dimension Gardenscape provide a qualified horticultural perspective on your landscape project. Our friendly team has the experience to provide a one stop service for your expert landscape design, construction and garden maintenance needs. 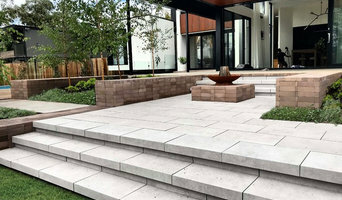 Dimension Gardenscape offers true project integration. We can show you how good design choices can result in better outcomes for lifestyle, efficient construction and ongoing maintenance, as well as cost savings in the long term. We have a broad range skill at hand in our team and collaborating contractors, so your project can include, for example, hardscape and softscape, irrigation, carpentry, electrical work, all coordinated as one project. Dimension Gardenscape we understand the value of quality workmanship and honest working relationships. We support the ongoing education and training of all our team members and approach all our projects as an opportunity to learn and achieve more together. Dimension Gardenscape are committed to supplying local product, locally grown plants and supporting local businesses. We implement waste management for every job, recycling where possible to reduce landfill and reduce waste disposal costs for you. Make your house a home with Manuka Gardens, the complete landscaping service. We provide superior landscape design, construction and horticultural services to the Canberra region. The team at Revive Landscapes takes great pride in our work and want to deliver a garden that can change your lives for the better. Whether you know exactly what you want or need a little help with some ideas or design, our team can help you from start to finish. We service all areas of Canberra and the surrounding region, so get in touch to see how we can help you get that garden you’ve always wanted. 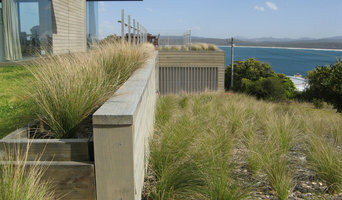 New Level Landscaping is a locally owned and operated Canberra business servicing the ACT and surrounds. We take pride in delivering the best landscaping services for both residential and commercial sites. All jobs include complimentary quotation, design and planning. At Foxy's Landscapes we take a lot of pride in the quality of our services, products and recommendations. Offering design, construction and maintenance allows for a uniquely personal and flexible experience. We have a long and diverse history of experience and love the challenges that each new project brings. 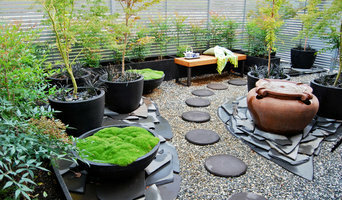 Darren Dimoff founded Canberra based landscape design & construction company DZ Designs in 1988. Since then Darren has been pioneering the integration of superb design with practical solutions whilst ensuring empathy for his client’s aesthetic and lifestyle needs. DZ Designs offers all aspects of landscape and garden maintenance for commercial and residential properties. Contact us to arrange for a detailed individual package to suit your requirements. With a signature formal & symmetrical style Darren creates elegant exteriors that integrate seamlessly with existing or new homes, buildings or structures. Central to his design is a strong focus on timeless spaces and strong focal points. His team is involved from the initial design concept through to installation and project completion of every aspect of the project. Landscape design, construction and maintenance. We are a landscaping business that specializes in building retaining walls. 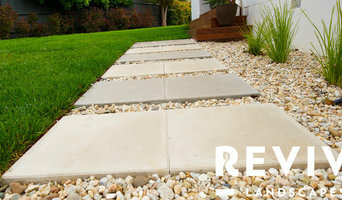 Along with building retaining walls in Canberra, we also cover all other aspects of landscaping. We are a local Canberra business, specialising in residential landscaping and fencing construction works. No job too big or too small, talk to us and we will walk with you from start to finish. **INTRODUCING NEW WIRELESS IRRIGATION SYSTEMS** This is not your average Bluetooth system, this is far more. If you are planning your next holiday and have concerns as to who will water your garden, we have the solution for you. We can install new wireless irrigation systems that we control from the office. Not only does this take the worry away but saves you lots of water too! •For more details please ask-terms and conditions apply •Unit and installation is a one-off fee •Monthly fees depend on subscription plan We service all around Canberra, Parts of Sydney, Batemans Bay including the following types of jobs: •Complete Makeovers &amp; Maintenance •New Properties •Existing Properties •Body Cooperates •Rural Areas We offer a wide range of services including: •Pruning, trimming &amp; hedging •Horticulture services &amp; maintenance •Garden clean ups •Body cooperate &amp; residential •Chainsaw/tree lopping •Garden renovation &amp; landscaping •Irrigation •Turfing •Land Clearing •Retaining Walls We are a horticulturist and landscaping business, we provide top quality services because not only do I love my job but I also take great pride in my work. Being a Horticulturist and Landscaper makes a brilliant combination as I will also be able to provide advice on your plants, pests, diseases ect. What can a Canberra, Australian Capital Territory landscape contractor or gardener do? 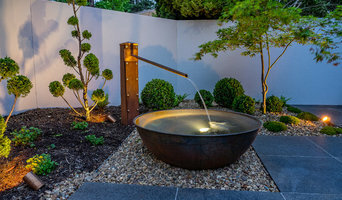 Find landscape solutions and Canberra, Australian Capital Territory gardening services on Houzz. Scroll through this page to find professionals that offer landscaping and gardening services in your area. You can browse their latest projects, read reviews and see how other homeowners rate their work, and message them directly.